Melek Maksudoglu, representative of “Emel Crimea” Foundation, Deputy Head of The Crimean Tatar Association of Culture and Mutual Aid in London continues the online campaign in support of the "Bizim Balalar" Foundation. The idea to launch such a campaign emerged when Lilia Budzhurova, the creator of the "Bizim Balalar" foundation had reported that as a result of the searches conducted in the temporarily occupied Crimea on October 13, more than 100 children left without fathers. “As these families have left without fathers, they face various financial difficulties. The foundation "Bizim Balalar" was established in 2015 in order to help them. These families need not only money, but also the legal support necessary to protect their spouses and fathers. "Bizim Balalar" does not abandon these families to the mercy, but provides both legal and psychological assistance for children," Maksudoglu stated. According to the representative of “Emel Crimea” Foundation, online campaign found a response in different parts of the world. “Our online fundraising campaign has received wide publicity. Injustice in relation to the Crimean Tatars in the Crimea has become one of the topics discussed in different parts of the world. I received many messages from America, Europe, New Zealand, Singapore, Indonesia and Malaysia. All these people are popularizing our campaign in their environment and in their countries,” Maksudoglu stressed. One can participate in the campaign by clicking the link. 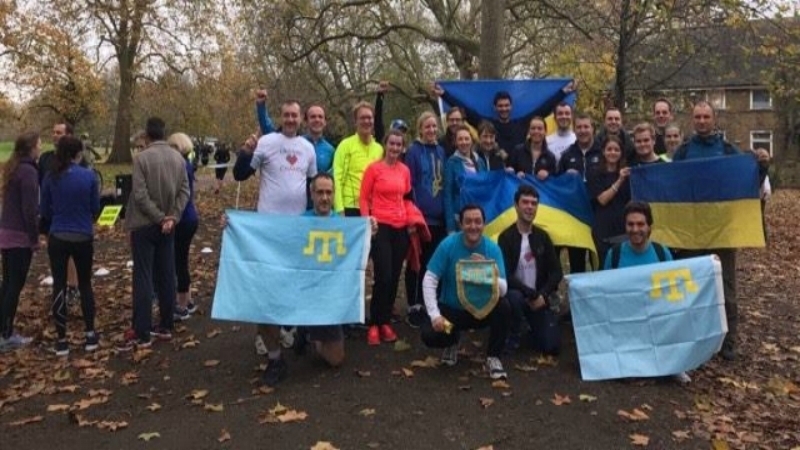 In addition, on November 18, in order to attract more attention to the fundraising campaign, Crimean Tatars and Ukrainians held a small marathon on the streets of London with Ukrainian and Crimean Tatar flags. On November 23, Melek Maksudoglu will take part in a discussion about the geopolitical situation in the temporarily occupied Crimea, where she is to speak more about the persecution of the Crimean Tatars. Among the organizers of the initiative are University of Loughborough and the Turkish Society of Loughborough University.